The yacht market is currently undergoing a radical shake up. What was once a pastime for an elite group is now becoming an ever more egalitarian pursuit. Large part of this transformation in the last decade has been the development of the used boat market, whilst new yachts are utilising materials that make yacht purchasing cheaper. However, with any market undergoing radical change its easy to forget that sometimes, whether you’re a first time buyer or someone with a little experience, knowing what to look out for when purchasing a sea vessel is always a good thing. So, what do you need to know when buying a yacht, and what pitfalls can we avoid when doing so? Here are just a few tips. Are you using a broker or not? Unlike buying a car, where supply far exceeds demand, the act of buying a boat is a little more complex. You could go it alone and do lots of research and actually, that’s what you should do when it comes to getting an idea of what it is you want, but when it comes to dealing with yacht owners and getting more information, that can be trickier. 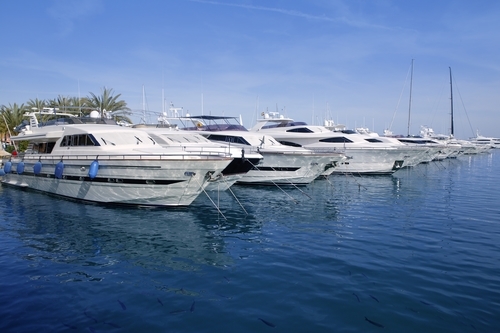 Brokers such as Princess Yachts for example work with buyers and sellers daily, and aside from having a variety of yachts to choose from, they can provide background histories, recommend lawyers for purchases and even take you through the process for a relative fee. Pretty much as the title explains what you really want to do is take the time to research the market and get an understanding of what it is you actually want. It could be that you wanted a smaller vessel but realise that your needs may require something bigger, or vice versa. A great starting place is a boat show. Here you can see the latest models and gather information on what is available today and even forward plan a year or two ahead when you know that there will be some available in the second hand market. That’s not always the case, but you could even get an idea of what was available before and do some searches on the net to get an idea of price and condition. What specification do you want? Here you need to consider two main things; the size of the boat and how well equipped it will be. Size will impact living arrangement as, just like houses, the bigger the boat, the more possibilities of layout there is. Equipment though may be down to how the kitchen is decked out to full entertainment suites and boat handling options. It’s important to remember that you build up your knowledge over time and thus, your needs may also change with that knowledge. Finally, if you’re going through a yacht purchase, make sure, especially in the second hand market that you get a full and conclusive survey. Here, you will discover what condition the yacht is in before final decision making and what the potential costs for repairs and maintenance will be over the next coming years.